Cardcaptor Sakura: Clear Card starts at the point where Cardcaptor Sakura ends, when Sakura Kinomoto starts junior high school alongside her friends, including her new boyfriend Syaoran, who had just returned to Tomoeda. After having a prophetic dream about a mysterious cloaked figure, all of the Sakura Cards turn blank and are rendered completely powerless, thus starting her quest to find out what is wrong. 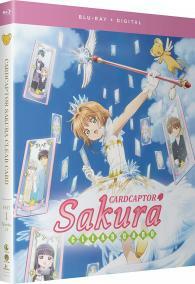 In doing so, Sakura and her friends, along with her guardians and protectors kerobearos and Yue, discover and capture the transparent cards using a new and much stronger mystical key and incantation.